A little over a week ago, Big Draco started posting up videos on his IG Stories with Blac Chyna, alluding to a new relationship. 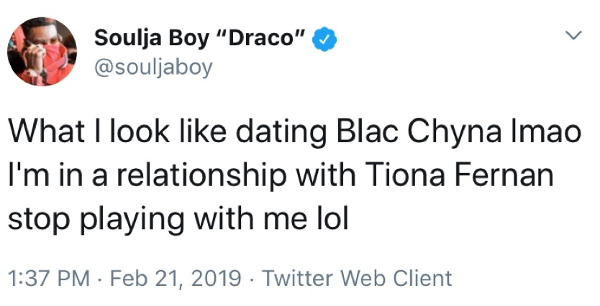 It was reported Big Draco and Chy slid into each other's DMs and then met up at Sean Kingston's LA penthouse. After being joined at the hip during Grammy weekend, they went shopping in Beverly Hills to celebrate Valentine's Day. He gifted her Christian Dior candles and he also showed off several Chanel handbags he supposedly gifted her. 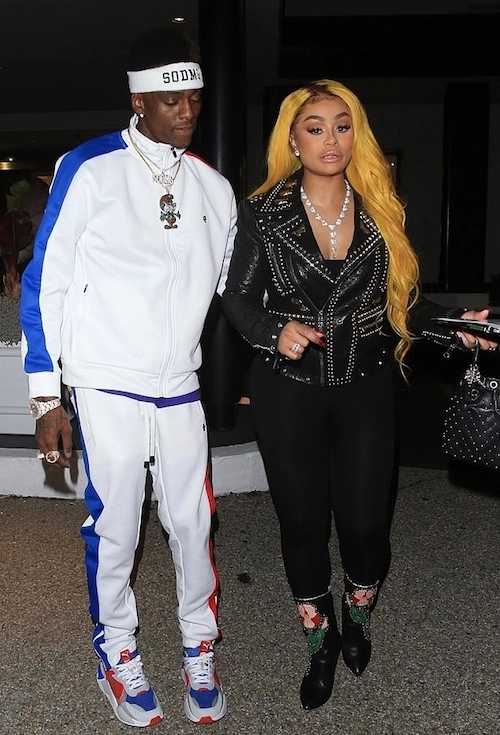 Then, it was revealed Soulja and Chyna originally decided to "slide into each others' DMs" to come up with a plan to get back at rapper Tyga. As you know, Chy and her son's father Tyga aren't on the best of terms. 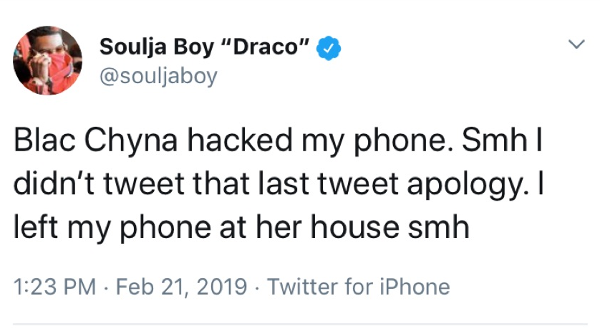 Also, Soulja and Tyga began feuding over who had the biggest comeback of 2018. Not long after tha story came out, the "Crank Dat" rapper started posting up "I Love You" comments on a chick named Tiona's IG posts. He also professed his love for her on his IG Stories. See their exchange HERE. 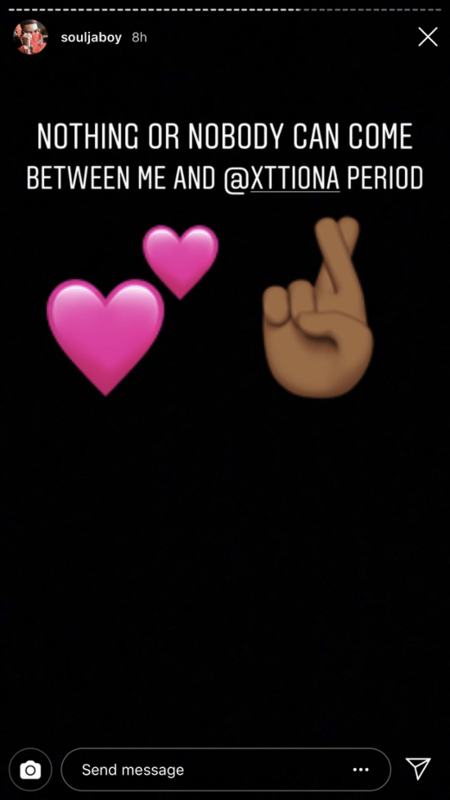 Now, he's back to "professing his love" for Tiona. Hmph.